How's that for a pose. The nesting material adds interest... A must to be viewed large Dan! Super shot! Great shot with nesting material , fantastic light , detail & pose. nice view of nature at work, sweet stuff. Superb! Love how the branch echos the wing angle. A truly charming shot. Perhaps whites are a tad blown on the head and shoulders, though? Doesn't bother me much....the overall effect is what counts. A beauty, Dan. Well done! Very nice shot. 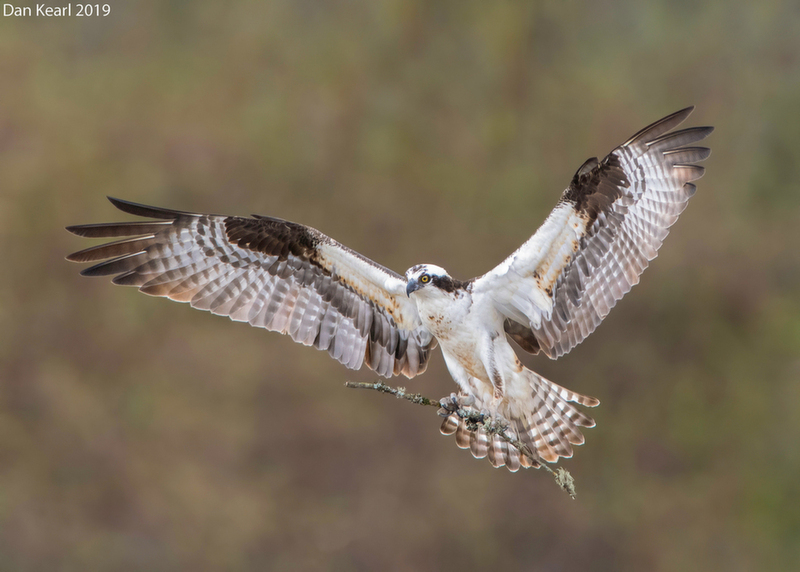 Yep, Ospreys are building everywhere now. I love their high pitch calls. Amazing shot, Dan. I wish we had this kind of background available at the site I visit as it is very pretty. Beautiful pose, exposure and detail in the soft light, Dan. Superb shot!